Aegean Naturals is a Greek company driven by a team of visionary and passionate people for new gastronomic challenges. What we do is to selectively produce and distribute in the Greek market and abroad innovative food products that stimulate fantasy and satisfy every taste lover. The products we create are unique! 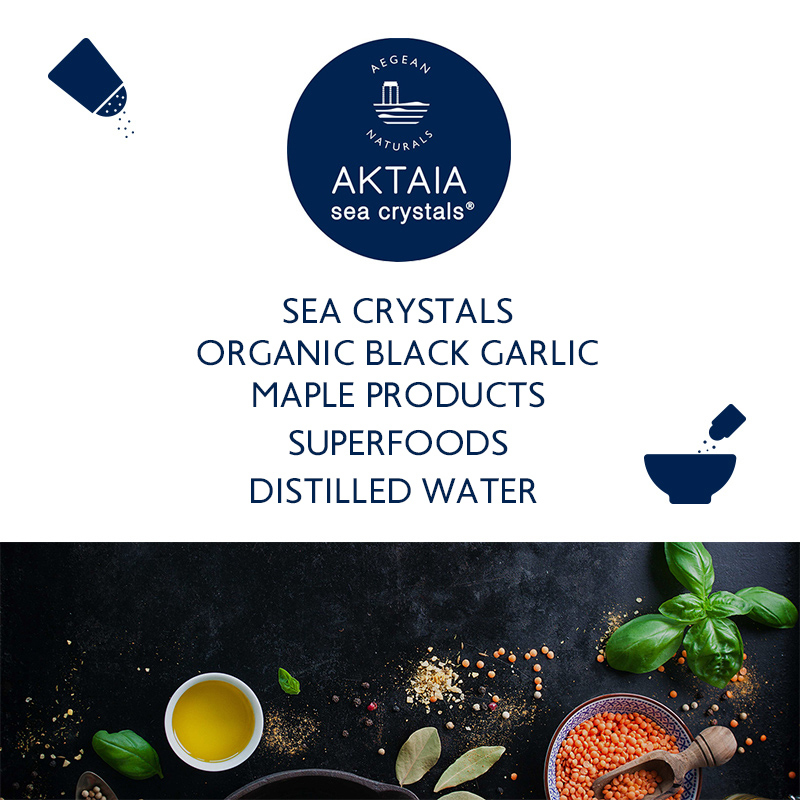 By producing ecologically Sea Crystals® from the Aegean Sea and applying a unique method patented nationally and internationally with 20 years of exclusivity, we have officially opened a new product category in the Greek food sector. The products we distribute are superb! We cooperate with producers who apply the strictest specifications, use the best raw materials and produce high nutritional value products in terms of a green-thinking philosophy. For us, food is nothing less than a sharing of emotions, a hunt for unexplored gastronomic treasure that we long to embark for. Sail with us! At Aegean Naturals we believe in and we promote good health via real food, as well as environmental sustainability via green-thinking and eco-conscious acting. Innovation: We keep evolving by offering healthy dietary choices in favour of human’s well-being and by producing based on a unique method of international classification. Sustainability: We protect the environment and prove it by focusing on treating natural resources -sea, sun, air- in an absolutely ecological way; not to mention that we recycle and reuse raw materials every step of the way. Integrity: We respect consumers’ needs for food products that benefit their daily dietary and we prove it by upgrading our production method so as to specialize in reduced and low sodium products or by distributing other functional handmade products. Quality & Reliability: We evaluate our raw materials, freshness, safety, taste and nutritional facts during at each stage of the production process by complying with all necessary food safety regulations.